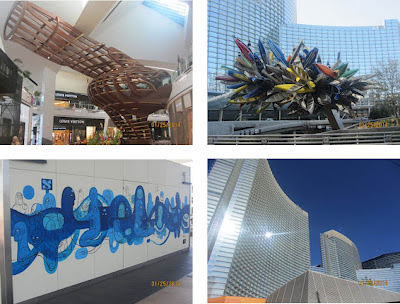 In terms of place and place making, the area surrounding the Las Vegas Strip is something like a train wreck. Offensive and grotesque, a wasteland of excesses and extremes that is built on the backs of people who just can't say no to temptation and gluttony of every sort. 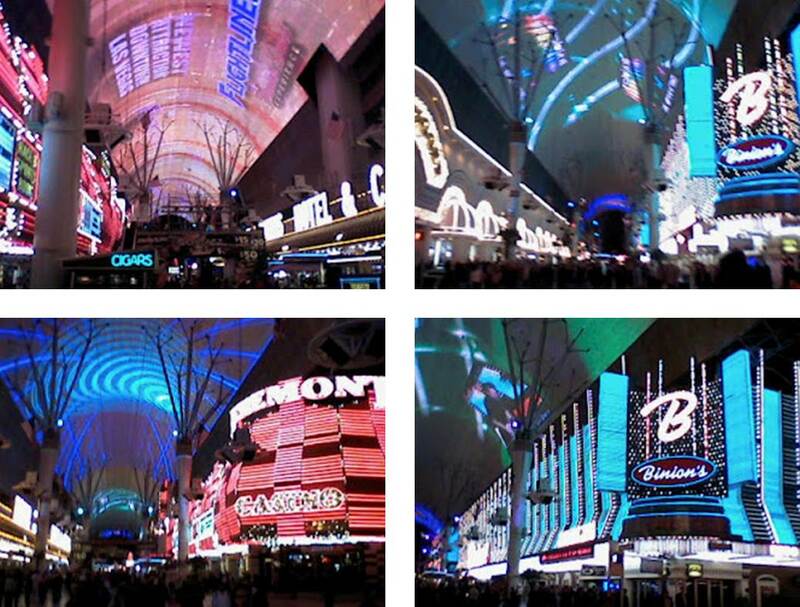 Every year I come here, and every year I see its hideous nature amplify and expand. Despite all of that, I just cannot look away. I love to come here and people watch, and I love to look at the grotesque public morphologies piled together in a great heap. Here, for your enjoyment, is a sampling from just a few of my favorite structures and places. 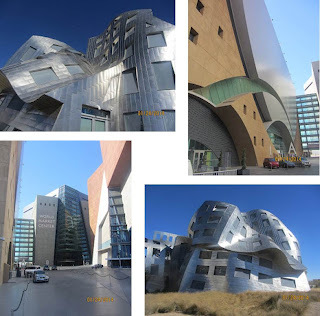 On a non-descript tract of land between the Strip (unincorporated Clark County) and the Fremont Street Experience is downtown Las Vegas - the real downtown Las Vegas; with law firms, government centers, auto dealerships, and all of the other normal things you would expect to find in an ordinary city. And then there is the World Market Center situated right next to the Cleveland Clinic. On a very rainy morning, my son and I ventured out into North Las Vegas to see the remnants of Vegas' golden age. 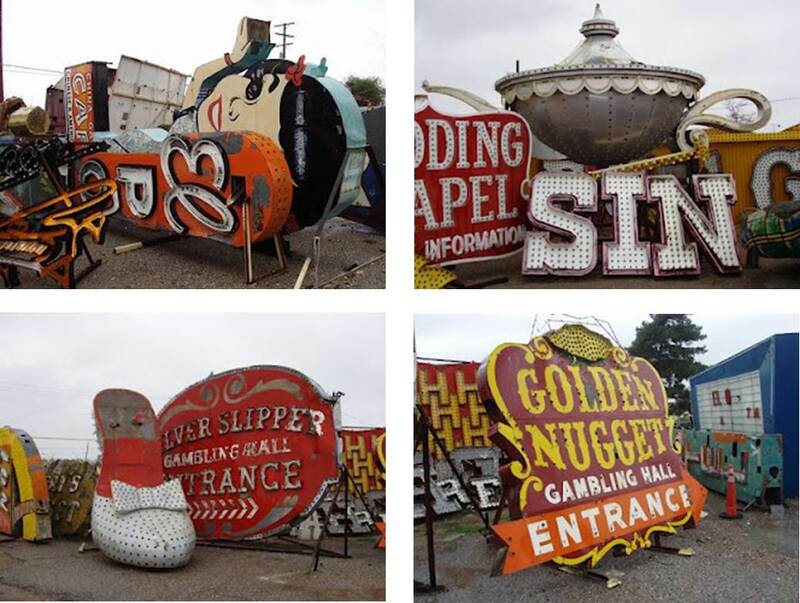 The Neon Boneyard is an extraordinary collection of signs from the classic casinos. The owners of the collection are developing a new museum, but I really enjoy the raw experience of walking on rough glass and metal in a not-so-nice area of town. Classic Las Vegas is still very much alive on the North end of town (somewhat removed from the modern Strip). So much so that the centerpiece of the area is Fremont Street, a walking mall covered by a massive display of lights that creates a dazzling show choreographed to music. Surprisingly, despite the seediness of the casinos, the area is very clean and safe. One of the newest places to visit and set in the center of the Strip, City Center Las Vegas is a gleaming casino/hotel complex filled with wonderful modern architecture, art, and design. I spent a morning there wandering around and taking pictures. 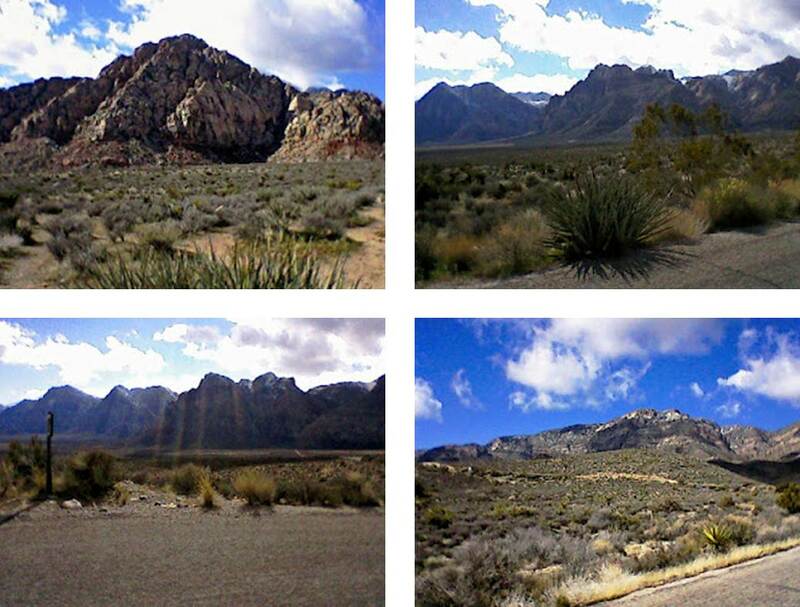 Twenty minutes to the West of the Strip is a marvelous series of canyons that have been preserved in a wonderful state park. I haven't yet spent much time wandering the hiking trails and climbing the rocks, but the place has the same vertical reach as the Strip and one feels diminished in the shadows of these ancient hills.